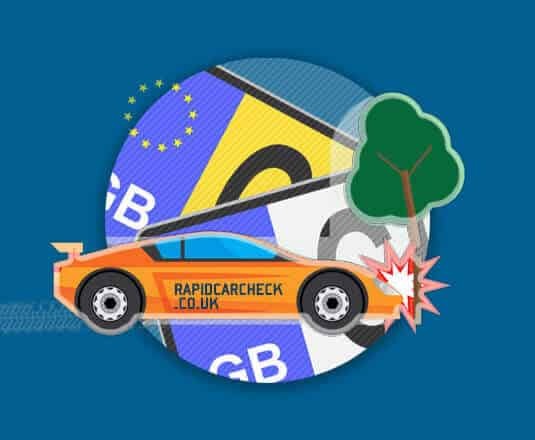 Rapid Car Check is not the first UK website to start offering car registration checks. The first company that started offering them was the company that is now known as HPI Limited. The HPI check and HPI terms are trademarks of HPI Limited. Rapid Car Check is not in any way affiliated with HPI or the HPI check. Car reg checks first started back in 1938 when the system was a manual and paper based one which made the checks take several days to return sometimes. Now things have gone digital and checks are carried out in seconds. Simply enter your vehicle registration number in the box at the top of this page! Get your basic report for free, the basic report includes the Vehicle Make, Model, Mileage, Tax, MOT & more. If the basic report isn't enough, you can upgrade to a deluxe check which includes car finance check, stolen check, insurance writeoffs check and more. Yes we do offer online support via email (enquiries@rapidcarcheck.co.uk) or the contact page on this website. Do You Check Car Insurance? No, But you can check if your vehicle is insured on the askMID website. The MID in askMID stands for motor insurance database. Do You Check Road Tax? Yes, our free and paid checks include road tax information such as due date of tax, tax band, CO2 emissions and current vehicle tax rate for 6/12 months. Do You Check MOT Data? Yes, both the free and paid search includes MOT data such as MOT due date, previous MOT records, Last MOT Date & more. Do You Provide Mileage Information? Yes our free report includes the last 3 MOT mileage records and standard/deluxe check includes the last 10. How Much is a Deluxe Report? We currently provide our deluxe search for £8.99, you can make payment via PayPal or credit card. If you want to see a sample deluxe report click here. What's Included in Our Free Check? It is always a good idea to know the history of the vehicle your buying, not knowing a vehicles history can be a costly mistake. This is why we started offering vehicle history checks in the first place, to help people avoid purchasing the wrong vehicle. There are several other UK websites out there that offer vehicle history checks, just like we do these other websites do this by requesting that you enter a vehicle’s registration plate. Some of these sites includes: MyCarCheck, TotalCarCheck, HPI Check, InstantCarCheck, RAC & AACarCheck. This can make knowing the best place to buy a car or vehicle check difficult. It is essential when buying a used vehicle, that you know exactly what your buying. This means you should aim to get a check that includes all the details. Some websites that offer cheaper checks sometimes don’t include vital checks, which could cause you problems further down the road. Not checking if a vehicle has finance against it could mean you lose the vehicle even after paying for it, this is because the seller doesn’t own the vehicle, but the finance company does (so it’s not theirs to sell in the first place). You can check if a vehicle has outstanding finance with our Deluxe check. Stolen vehicle check, previously written off check, mileage discrepancies check, import/export check, colour change check, reg plate change checks & more. Whilst we may not be the cheapest (but still not the most expensive) this is simply because all our checks include this data for your peace of mind. And if you are considering buying multiple checks from us, we offer our deluxe checks from as little as £4.49 per check if you buy 10. If you require valuation and vehicle finance check then our deluxe package has this data (this isn’t included in the standard check). We also offer a buyers guide to help anyone who buys our Standard or Deluxe check, this ties in with both checks and helps you verify a vehicles identity. Our main aim is for you to be safe and to buy any used car with confidence.